Both of my daughters LOVED the “Madeline” series by Ludwig Bemelmans when they were young girls. 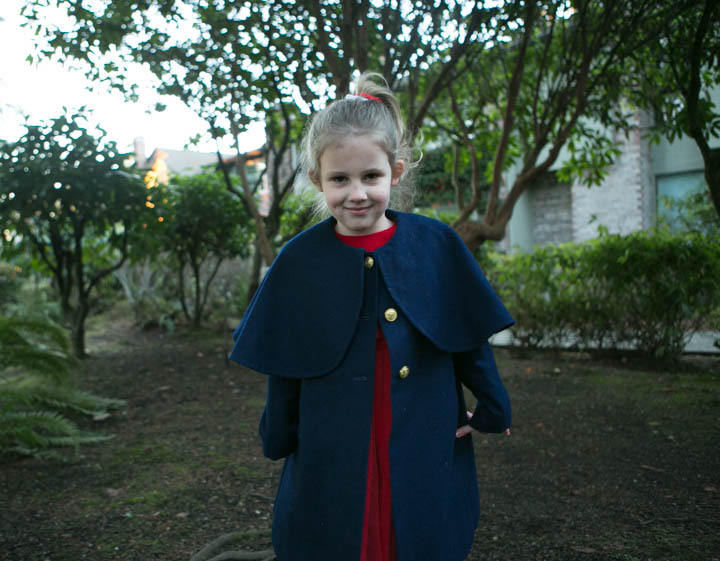 Well, my DGD shares some personality traits with the intrepid Madeline, so of course I had to make her a “Madeline” coat! This pattern is Vogue 2090, which is long out-of-print, but still available on Etsy and eBay. 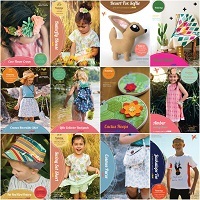 This pattern was produced back-in-the-day when patterns were “single size”, instead of the multi-sized patterns we are accustomed to today, so plan ahead when purchasing! I originally bought this pattern when Oona was an infant, in size 3, so there was a some grading required to use it for my now-5-year-old DGD! 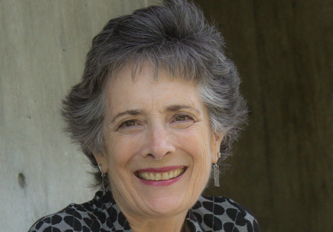 One of the perks of being a grandmother is I pay no attention to practicality. 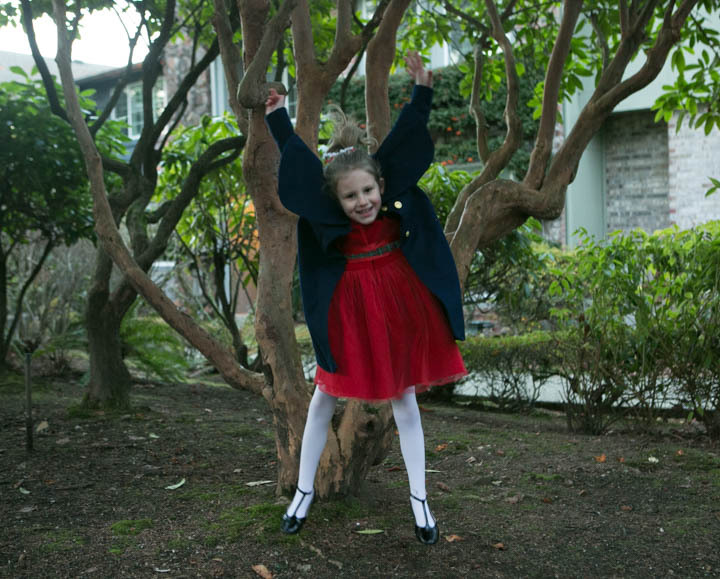 A wool coat for a child who will likely grow out of it in a single season. Pffft! Who cares! 🙂 I don’t pay attention to how much garments for her cost, I only spend my time sewing things that we both like; and she loves this coat. 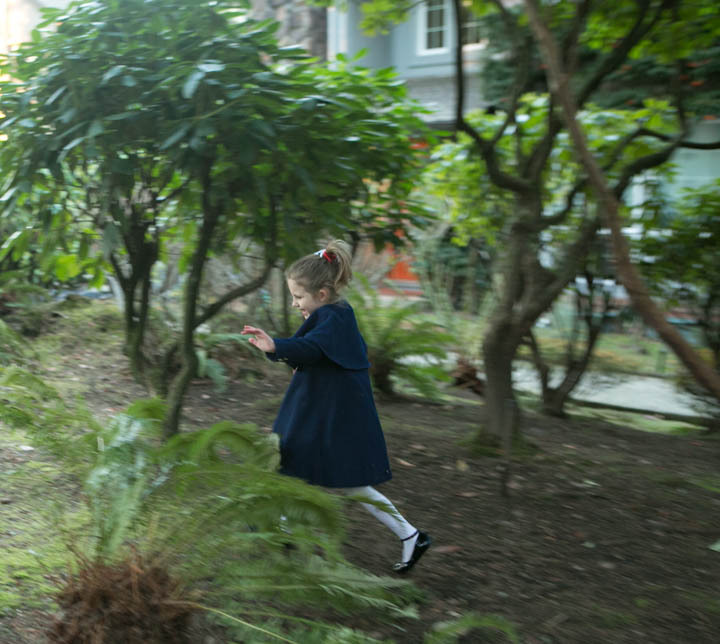 When I was a young mother, a wool coat would have been reserved for church and special occasions, but I love that Oona wears Madeline coat to pre-school, the playground, and shopping. Why let something hang in the closet just to be outgrown?. As mentioned, this coat is made from wool flannel that I had in my stash. 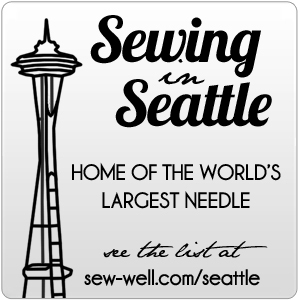 It was not particularly heavy, so I underlined the entire garment in cotton flannel to add warmth. The pattern also did not call for a lining, so I drafted one because I knew the lack of a slippery lining would be a non-starter. Who likes pulling unlined coat sleeves off, anyway? 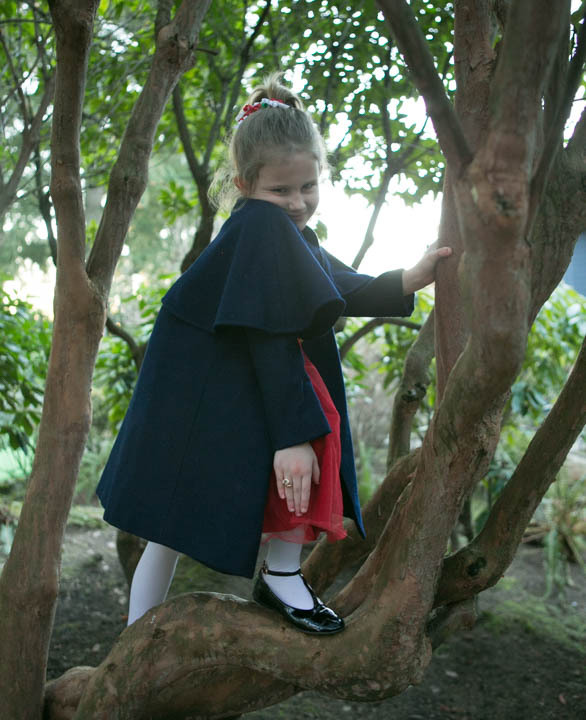 Many sewists think making a wool coat is a big undertaking. Well, it can be, but this coat was easy and went together quickly. Of course, I made it more time-consuming by adding flannel underlining and a rayon Bemberg lining, but it was worth the extra effort. Don’t you love the capelet? Oona does! My DGD loves all things “golden”, so of course I used shiny gold for the front closure, as well as the decorative-only sleeve buttons. As you can see, this coat is not at all restrictive! 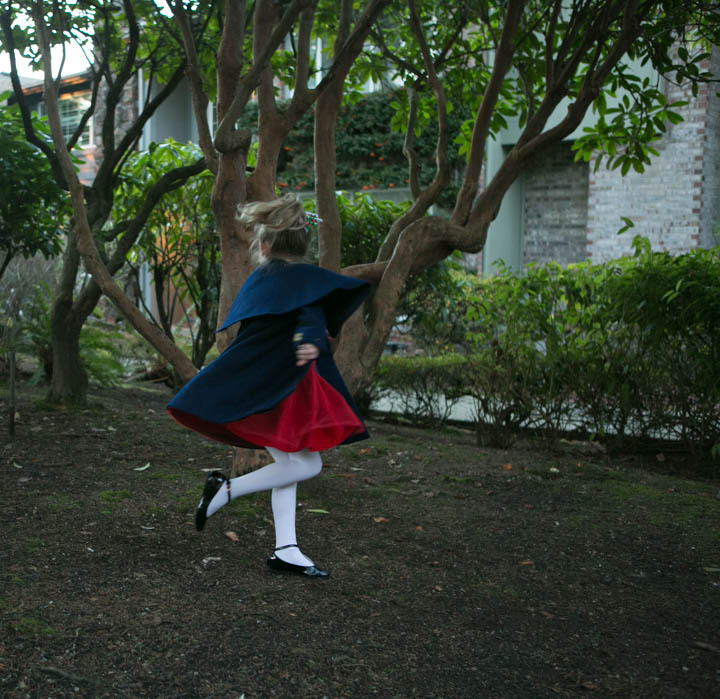 Tree-climbing, twirling, and jumping are all possible! 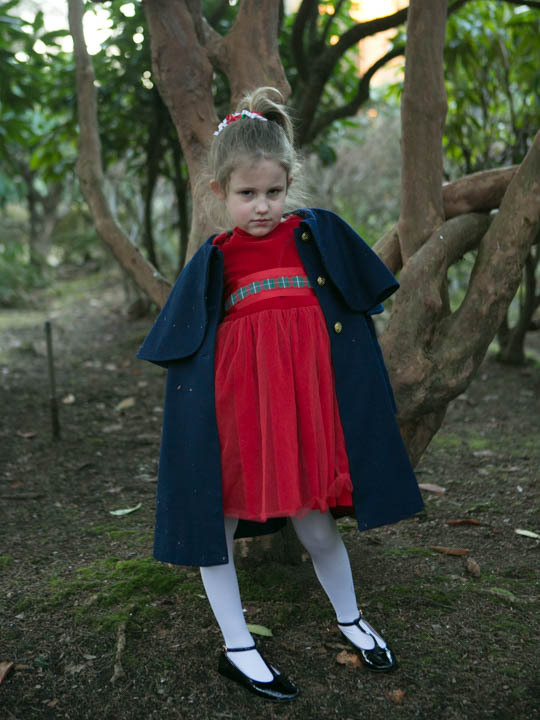 Somebody could be a pouty runway model, at age 5, right? 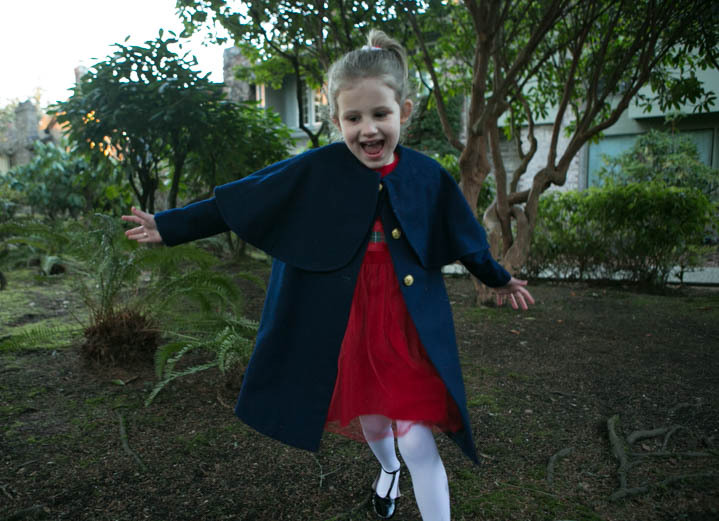 I had so much fun making this coat I already have another planned in fuschia linen for Easter. I am going to combine a couple of patterns for that garment, and I think I will leave it unlined just to see how that works for a spring/summer coat. 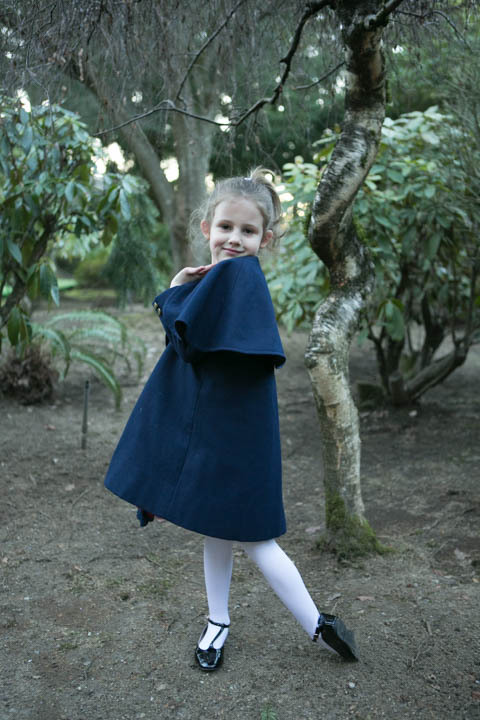 Have you ever made a wool coat for a child? 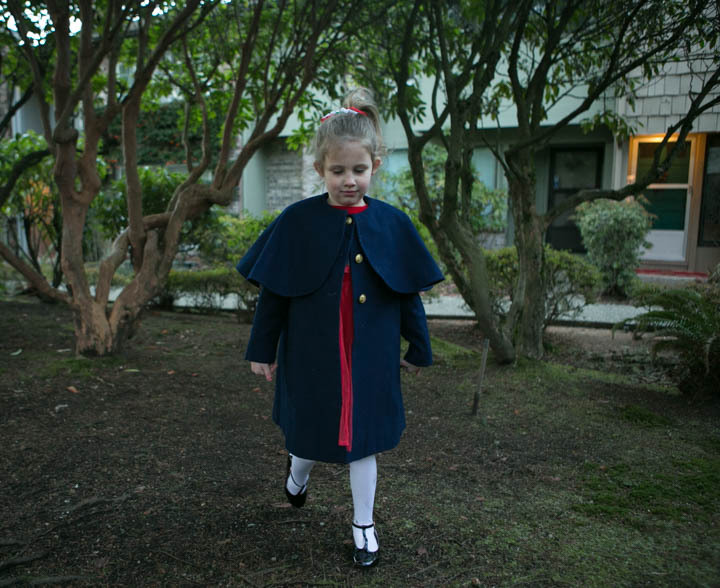 What was your favorite coat pattern for a child?